This simple fresh seasoning is a traditional finish for Osso Buco. 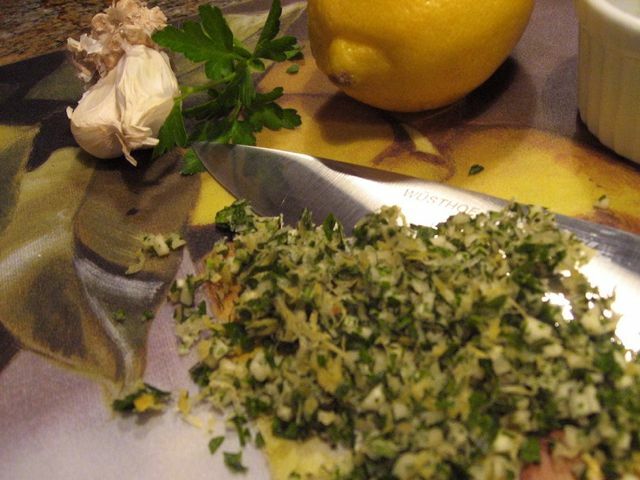 Combine the parsley with the lemon zest and the minced garlic cloves. Sprinkle on top of the osso buco, and put extra on the table for guests to help themselves.